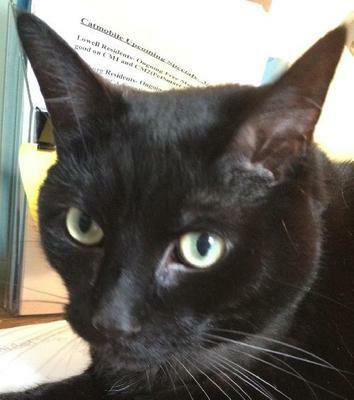 Samuel Whiskers is available for adoption in Salisbury, MA. Samuel is about four years old and still a sucker for human attention. Gentle and gentlemanly, he’ll make a great companion. He arrived at the shelter as a stray. Samuel Whiskers is available for adoption through Merrimack River Felines Rescue Society in Salisbury, MA.